In this nifty mix of urban myth and police procedural, Detective Stan Markowski of the Occult Crimes Unit gets embroiled in a mafia family feud, uncovers a political plot, dodges bullets and bombs, and must counter a new street drug that’s driving even elves to armed robbery. Turns out he has a guardian angel watching over him – although it’s not any normal sort of angel, you understand. This is the third book in the OCU series, and it’s well worth starting at the beginning with Hard Spell to fully understand all the plot threads and character interactions. Author Justin Gustainis hasn’t just sprinkled trolls, gnomes, vampires and werewolves all over the shop for headline effect. Instead he’s created a credible modern universe in which supes have been out of the closet since WW2 or thereabouts, and are (mostly) integrated into American society. So the core of each story focuses on a proper investigation… in which it just so happens that many of the major players are undead, or otherwise. Detective Stan is kinda coming to terms with the fact that both his daughter and now his police partner, Karl, are vampires – each of them turned to save their lives in extreme circumstances. This has softened the character quite a bit since the opening action in Hard Spell, and the tone of Known Devil is fair bit more light-hearted than the original episode. If the first book was gritty, nudging on noir, then the series has settled down to feeling kinda comfortable. But not quite cosy. Not with such a high body count! The action is set in a mid-size American city, Scranton, which happens to have a large supernatural population. Multiple storylines are neatly interwoven, using a growing cast of intriguing, credible characters. There’s a little bit of love interest, but mainly the focus is on the investigation into a series of increasingly violent events. We bounce from blood-soaked crime scenes to seedy bars to squad rooms and run-down diners. The pace doesn’t pause too often and the dialogue can be extremely droll, littered with dozens of references to current events and pop culture. The author tweaks actual names of films, songs, cars and such to give them all a slight supernatural twist – so characters might drive a posh Hexus, f’rinstance. And there’s a bar called ‘Renfield’s’. Of course there is. The only part I didn’t enjoy so much about Known Devil was the political plotline. Won’t go into detail and give too much away, but it overlapped with themes from Trueblood to do with persecution of minorities and agitating extremist activities. Just felt a bit ‘been there, done that’, which stands out because the rest of the book succeeds in bringing a new perspective to well-trodden territory. 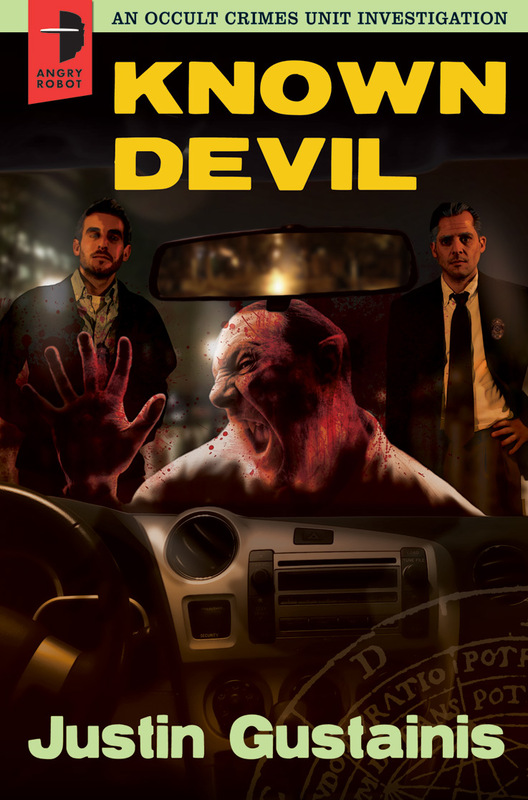 Overall, Known Devil gave me an entertaining evening and I’m looking forward to the next episode. But if you haven’t read any of the OCU series before, then start with the first book, Hard Spell.